Why did you select EKU? 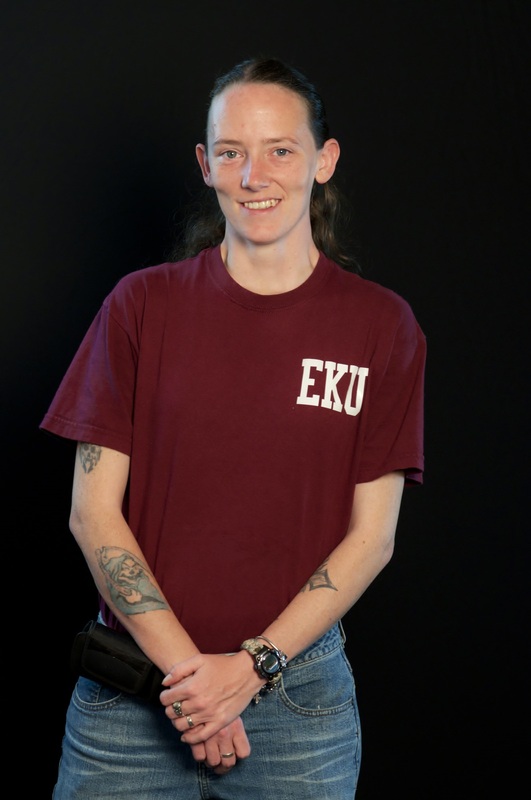 I chose EKU to further my education because attending EKU’s extended campus would allow me to achieve my degree without having to move. I also chose EKU because they offer the best courses in Criminal Justice. Why did you select Criminal Justice and/or Police Studies? I chose Criminal Justice because I have always had a great interest in all aspects of the Criminal Justice field. What are your educational goal(s)? My educational goal is to continue forward and receive my Master’s. I hope to work with juveniles or somewhere within the counseling field of Criminal Justice. When did you start your degree at EKU? I started my degree with EKU in the fall semester of 2013. I will graduate Spring semester 2015. What is your Career goal(s)? My career goals are to enter the criminal justice work field working with juveniles as a probation/parole officer, or within the counseling field. What advice or recommendations would you give prospective students considering EKU and Criminal Justice and/or Police Studies? I would highly recommend EKU’s Criminal Justice and/or Police Studies programs to any prospective students who might be considering EKU as their educational source. EKU offers a wide range of courses and have many extended campuses making it very easy to attend EKU without having to move to the Richmond campus. The teachers and staff at EKU and their extended campuses are very knowledgeable in their fields and are more than willing to help any student. My experience with EKU has been wonderful, I have met and became friends with some truly wonderful people and consider myself to be very blessed to have had the opportunity to attend EKU’s Hazard extended campus.